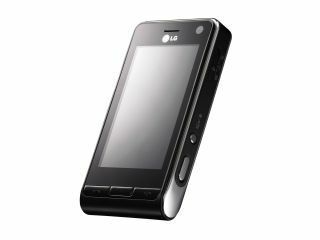 LG to bring 8 megapixel camera phone? The rumour on the blogwires is that LG is preparing to have another crack at the touchscreen phone market, and this time it plans to whack an 8 megapixel snapper on the back. The KC910 would be out sometime in Q4, probably in October this year, as LG aims to consolidate its new found position as the fourth biggest global handset manufacturer, having recently beaten Sony Ericsson in the rankings. And now the KC910 would be a rival to the recently announced C905 from the Swedish-Japanese company, rubbing salt into the eroding profits wound. An exciting possibility is a 'completely new' user interface, which might be what's needed after the clunkiness of the Viewty's (LG's most popular touchscreen phone so far) UI. The camera will pack a Xenon flash, image stabilisation and the fancy camera treat du jour, face recognition. The video camera will capture at 30 fps, which is a darn sight slower than the traditional 120 fps that LG has plugged into most of its camera phones; whether its absence is an admission that the fun feature just isn't worth the effort, we'll soon find out. Other than that, all we can do is pray to the mobile gods that these manufacturers stop messing about with megapixels and start working on more important stuff, such as better lenses and less power-hungry features to extend battery life. 8 megapixels is surely the limit of what anyone could want, or even need, in a camera phone. But that just means the 64 megapixel Sony Ericsson handset is likely to be just around the corner.